Even though I’m on a low carb diet, I end up buying a lot of normal people food for everybody else in my family. Usually I don’t mind, but lately I’ve been really tempted by their donuts. Those sugary rings of glazed deliciousness. Luckily for me, the low carb world offers some tasty sugar free alternatives. Today’s recipe is adapted from an old standby of mine, a chocolate donut recipe that I found on Simply So Healthy. It’s got a simple, no nonsense cocoa and almond flour batter and I’ve coated the outside with powdered sweetener. 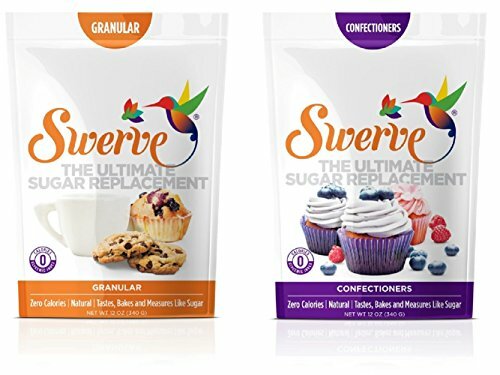 (I used Confectioner’s Powdered Swerve, but you can turn any sweetener into powder by blending it in the blender for a minute or two.) The result is a chocolate donut that is low carb, grain free, sugar free and gluten free. It’s also tasty as all get out. These little donuts give normal people food a real run for its money. These little low carb mini donuts are nice and chocolatey. 1. Preheat oven to 350F and spray 2 donut pans with cooking spray. 2. 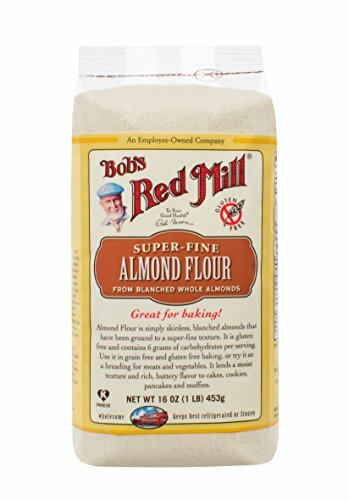 In a medium bowl, combine almond flour, cocoa powder, salt, baking soda and granulated sweetener. Use a whisk to mix thoroughly. 4. Add the eggs, vanilla extract and milk and stir until smooth. 5. Spoon into the wells of prepared donut pans. 6. Bake for 10 to 15 minutes. Donuts are done when the top springs back when touched. 7. Remove and let cool in the pan for 10 minutes, then flip out onto a wire rack to cool completely. 8. Add the powdered sweetener to a plastic bag. One by one, add the donuts to the bag and shake to coat them in powdered sweetener. If you liked this low carb donut recipe, then you might like my recipes for Double Chocolate Donuts, Lemon Donuts, or Pandan Donuts. We are sugar free so I am always looking for snack ideas. This is perfect. So many amazing things about this recipe! I love it! Thank you for proving that even if you are cutting back on carbs, your life does not have to completely exclude yummy foods!! I never want to give up donuts! So glad you don’t have to give up donuts on Keto too. Wow! I do keto too but have never considered making my own donuts. Wow, love this recipe, looks pretty simple and super delicious!! 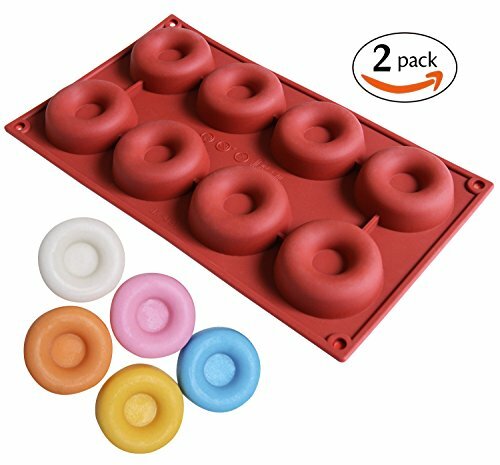 Yep, making your own donuts is easy if you’ve got a mold. These low carb powdered doughnuts look like the perfect little treat when eating healthy. I have a friend that is going to go crazy over these! They look delicious. I love that they are low carb too. I made your double chocolate donuts last week so I thought I’d try these. I think I like them even better! Yay! Thanks for letting me know. I can’t wait to try these donuts!